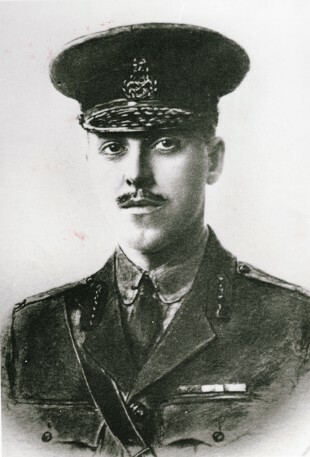 AT 3.15pm exactly 100 years ago this afternoon, two battalions of the Durham Light Infantry rose up out of their trenches to attack enemy lines, led by Lt Col Roland Bradford. They had been engaged in the heaviest fighting on the Somme since September 15, practically without a break, and many had paid the heaviest price – within five days, the 9th Battalion had lost four officers and 44 men dead, 27 were missing, and nine officers and 219 men were wounded. This meant that 44 per cent of the battalion’s strength had been wiped out. Even the young commanding officer, Col Bradford, 24, had been wounded, struck by shrapnel. It was nasty, but he stayed with his men rather than seek treatment, meaning that the wound took many months to heal. And yet, those who still stood had to go again and again and again… A day before the assault planned for the afternoon of October 1, the British heavy guns began a bombardment of the German trenches. Ninety minutes before the Durhams were due to go over the top, disaster befell the 6th Battalion. Its commanding officer, Major GE Wilkinson, was struck by shellfire and had to retreat to a casualty station, leaving it leaderless. Into the breach stepped Col Bradford. He swiftly and decisively led the two battalions into battle. For 24 hours, “bomb fighting of a severe nature raged around” the DLI. Despite the heavy shelling, they made it into the first German trenches. They saw off the enemy counterattack and, by sending out patrols, they probed deep into the German defences – a maze of trenches known as “The Tangle”. The British troops on either side of the Durhams appear not to have been so well marshalled and had not made such good progress, so after two days of constant fighting, the battalions dug in and consolidated their gains, even as shells rained down on them. Col Bradford was one of four fighting brothers, all born in Witton Park, near Bishop Auckland, where their tyrannical father was a colliery manager. When Roland was two, the family moved to a farmhouse at Morton Palms, on the eastern edge of Darlington, and four years later, into a large Victorian house in Milbank Road in the West End of town – this was the house that Roland called home. On October 3, after nearly 20 days fighting on the frontline near Eaucourt L’Abbaye, what was left of the battalions was stood down. The men moved back to a training camp, where it rained heavily on their tents. Col Bradford barely rested. He was designing, making and erecting a large wooden cross in memory of his men who had fallen. He was badgering those higher up the command chain to send his men a weekly parcel of treats – “of, say, polonies, cakes, kippers, condensed milk and a few socks”, he wrote. He was organising a battalion band – as many of his men had Durham musical backgrounds, he had campaigned for those at home in the county to send out spare instruments, and he arranged shows with the new band supporting his theatrical group. He was doing anything that could make life better for his troops. Plus, he was planning their next attack. Because of their previous success, the DLI was tasked with capturing the Butte de Warlencourt – a strange mound, 40ft high, that stood out like a sore thumb in the flatlands around the Somme. The Germans were entrenched on top of it; the fields approaching it had been churned into a porridgey quagmire, and Col Bradford wondered whether the cost of capturing it would ever be worth it. His superiors pressed on, and so did he. On November 5, he led his battalion’s efforts to take the Butte. After two days, they were beaten back. 9DLI lost more than 40 men killed, more than 220 wounded and more than 150 missing. The brigade of which they had been part lost nearly 1,000 men in total. This is one of the most famous battles in the entire history of the DLI, and we’ll look at it more closely on its 100th anniversary. 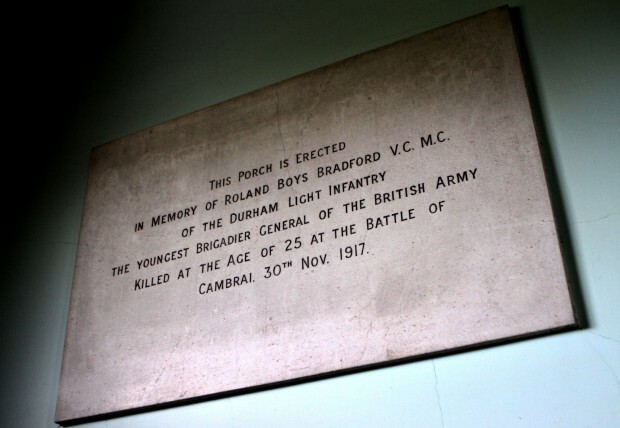 On November 16, Col Bradford and his men were relieved and dropped back to a rest camp at Millencourt where, on November 25, they received an announcement: Roland was to receive the Victoria Cross for leading the two battalions into battle on October 1. The men joyously chaired their young colonel around the camp – although he modestly said it was recognition for them all. His citation told of how the 6DLI’s commander had gone down injured, causing the men to “become dangerously exposed at close quarters to the enemy. Raked by machine gun fire, the situation of the battalion became critical”. But, said the citation, Col Bradford “asked permission to command the exposed battalion in addition to his own”. When permission was granted, “he at once proceeded to the foremost lines”. It concluded that by his “most conspicuous bravery and good leadership in attack, he saved the situation”. For that he was awarded the nation’s highest award for military gallantry. 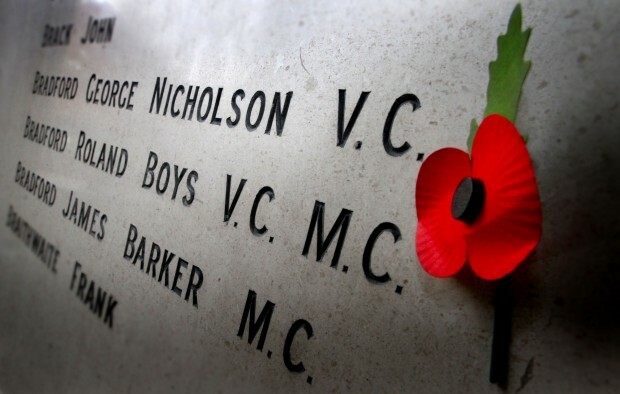 He became the youngest recipient of it in the First World War and when his brother, George, was also awarded the VC for his naval bravery in 1918, they became the only brothers in the war to ascend such a pinnacle. But Roland could barely be bothered to collect it. He stayed on the Somme with his men that Christmas – he got them a special lunch of pork. He stayed with them through the winter, despite picking up another little wound, developing new tactics and leading them into battle. He stayed with them despite receiving the devastating news that on May 10, 1917, his brother James was killed fighting with 18DLI. Perhaps that insight into mortality softened him a little because at the end of the month he gave in to pressure to return to England to receive his VC. “I made a hard fight to get out of it, but the General said he could not disobey a direct order from the King,” he wrote. So on June 2, at Hyde Park in London, George V was able to present this remarkable soldier with his richly deserved award. It was a huge occasion – 350 military medals were presented, including 11 VCs, watched by 600 hospitalised soldiers and thousands more interested people. “For the convenience of the onlookers, a booklet had been prepared, in which each recipient was numbered and the number was displayed as the heroes marched up to the platform,” said The Northern Echo. “Two VCs, Capt A White, Yorkshire Regiment, and Lt-Col Roland Bradford, Durham Light Infantry, were kept by the King chatting for some moments. Immediately afterwards, Roland dashed back to Darlington to see his mother, Amy, and his brother’s new widow. The mayor wanted to make a song and dance of “wor” war hero’s homecoming, but Roland refused such “pomp and ceremony” and threatened to take the first train to London if anything was in the offing. He didn’t stay long. As he left his home in Milbank Road, he must have known there was a good chance that he wouldn’t live long enough to see it again. And so it was. Back on the Western Front, in September 1917 he led 9DLI on what his commanding officer described as “an excellent raid full of originality and thought”. He had planned it so well that on November 4, he was promoted to Brigadier-General – at the age of 25, he remains the youngest member of the British Army to hold this exalted rank. It didn’t last long. He led his men into the Battle of Cambrai, on the Somme, and then fell back for rest and recuperation. On the morning of November 30, he left his headquarters to visit his men. By early afternoon, he hadn’t returned and a search party was sent out. He was found lying dead: shrapnel from a stray shell had pierced his spine and flukishly killed him outright. He is buried in Hermies Cemetery, a small, quiet, immaculately tended graveyard from the Bapaume to Cambrai main road. By the gate in its low brick wall is a metal cupboard containing a visitors’ book.